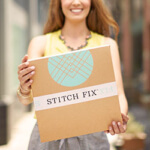 What do Stitch Fix, Cirque Du Soleil and Sesame Street all have in common? Melissa K.! Meet our Technical Design Manager who specializes in all things plus. 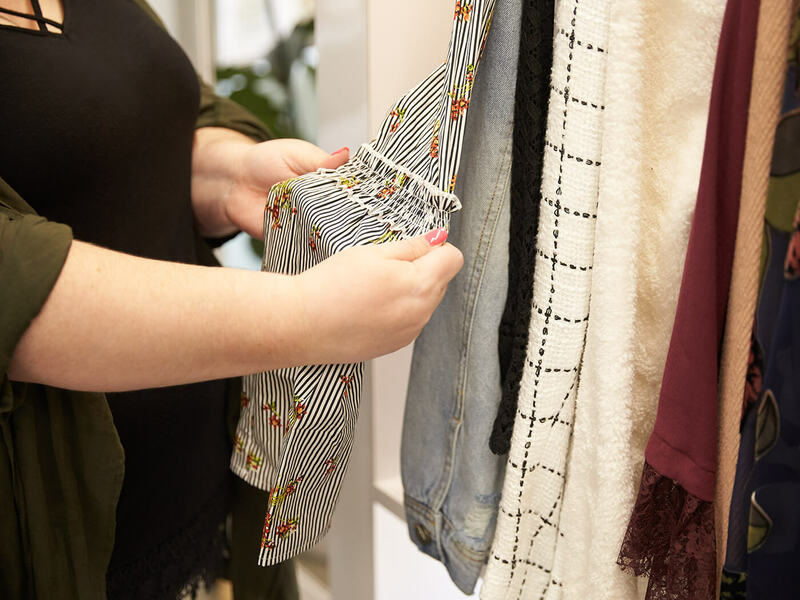 Read on to see what gets her up in the morning (it’s not just coffee) and how she ensures your clothes fit perfectly so you can have the best day ever. It’s the people that get her going. Can you tell us what you do as a Technical Design Manager? Technical designers are engineers of clothing and fit we bring our designers’ vision to life! We talk about shapes, proportions, patterns and use measurements to help guide our vendor and provide direction on how to sew and construct a garment. 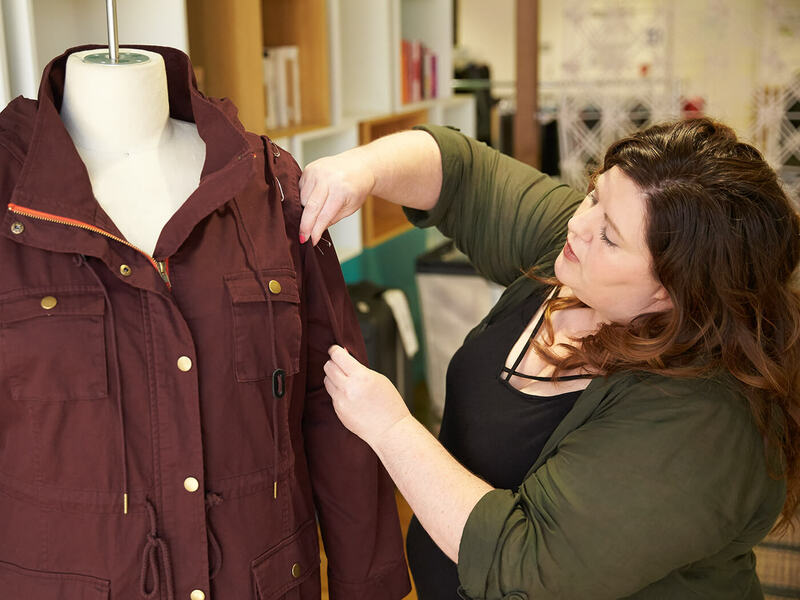 The technical design team partners with a lot of teams at Stitch Fix— from our Buying team to our data analysts—we make sure a garment can keep all the details the designers dreamt of. We touch each and every sample when it comes in before it’s made for our clients! Yes! Every single piece that’s made exclusively for us. What did your journey into technical design look like? I actually didn’t plan on going into apparel or fashion. I entered college with a major in computer science and international business with a minor in Japanese. At the same time, I was doing costumes for my school’s production of “The Glass Menagerie.” I couldn’t be there on opening night, but I had this feeling of “that’s where I’m supposed to be.” This prompted me to change my major to theater with an emphasis in costuming. From there, I was accepted into a conservatory program with an emphasis in pattern making, tailoring, design, and millinery work. I was connected with the theater community during school, so I was watching jobs with Cirque Du Soleil! When I found out they were opening a new show in Vegas—I started networking. After chasing down teams in Montreal, I finally took a chance and called the Bellagio Hotel simply asking to speak to their wardrobe/costume department. Voila! I was connected and after a brief conversation was asked to fly myself in for the interview of a lifetime—I got the job! Honestly, the people. I know that’s so cliche, but it’s true. I’ve had similar job responsibilities at other places, but here at Stitch Fix, it’s a constant think tank. People are very open to working together, adding ideas, and figuring out what is going to improve the experience for our clients. That’s what gets me out of bed in the morning! But really, there’s no typical day. 6:00 am: I get up and have my coffee. 8:00 am: I take the train from the East Bay to work. I try really hard to not stop at Starbucks, especially at this time of the year! 8:45 am: I get to work and hit the ground running. I could be running to meetings, heading to fittings, working on patterns or meeting with vendors. 12:00 pm: I don’t typically take a lunch. I usually have a lunch meeting or get coffee with someone in a different department. 1:00 pm: Back to more meetings and work! 6:00 pm: Closing time. I like to end my day by cleaning up (or not) the pattern table and cleaning up my desk. I’m a little bit Type A—I like to have things in order. Ensuring that all the details and seaming is perfect for her is what we strive for. Tell us more about how you approach fit for our curvier clients! A lot of people think you just take a garment and add numbers to it. But, you can’t. You really have to look at the shape of her figure. Plus size women typically have a little bit more shape in the bust, a fuller bicep, a shorter armhole in the front of her body—it’s all about shaping the seams for her curves not just adding width and length to a garment. For me, the client is always top of mind when reviewing garments: what is the best proportion for her shape, does this satisfy the current trend, is there something we need to change to give her that confidence? Ensuring that all the details and seaming is perfect for her is what we strive for. Are there any other misconceptions about designing clothes for plus women? I’ve heard the misconception that if she’s a bigger girl, she must like bigger prints or that if you’re plus you just want something oversized and drapey. Forget all that! She’s just like any other person you’re going to style and she has preferences, too! Plus women still want to feel refined and put together. What’s a garment that you’ve been really proud to make? Our version of the anorak jacket—the Chaplin! 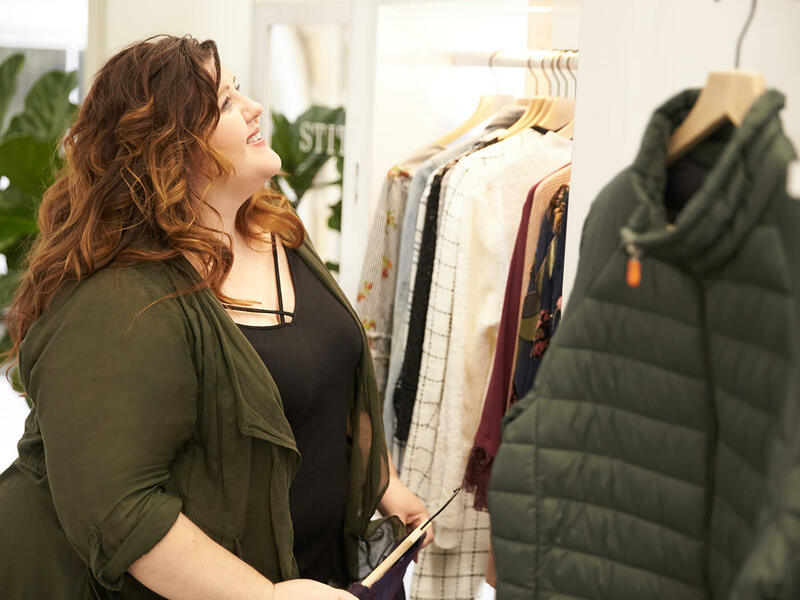 When we were putting out the Chaplin, I shopped around at other stores to see how they were fitting them for plus size women and what we could do better. But, I couldn’t find one. I don’t know how many stores I went to, but I couldn’t find a single anorak jacket. But, as I was walking down the street, every other woman I saw was wearing one. It feels so good to know that we’re looking out for our client and giving her things that she can’t find anywhere else! Do our clients influence what you make? Absolutely! We get to ask ourselves, “how can we do this better?” We use client feedback and data to better understand and learn exactly what she wants: how tight or loose she likes her clothing to be, what she wants to show off and what she doesn’t. We then create the breadth of product to serve a wide array of women—we have the bodycon skirts for the women who want a tighter fit and a classic pencil skirt for the ones who need a perfect work skirt. Black, black, black—think New York. While I love the stylish, trendy looks, my comfort level typically puts me in more coverage— no bodycon skirts for me. I do love flirty, feminine details and some great black leggings. Has working here influenced your personal style? Yes! I’m so excited to share our new pieces with our clients, but also excited to add them to my wardrobe. I’ve definitely been more open to trying new trends from working here. I get so inspired by some of my colleagues who wear the best pieces every day. It’s hard to not want to dress like them! Spicy question! Are there things you’ve taken from your own experiences and applied to your work? So I think we all have a tendency to want to build the product based on what our personal preference is but here at Stitch Fix the idea is that it’s personalized and so we have to remember that not everyone likes the same thing. For example, I don’t really like sleeveless tops and things that show my arms but many of our clients do. I love the fact that I am able to influence some of what we bring to our assortment. When I started going back to the gym a few years back I wasn’t able to find an assortment of activewear, but why wouldn’t there be? My input & experience is asked for and taken into consideration, so I feel like I am able to impact my work in a very positive way based on experiences. The Plus client is near and dear to my heart. I grew up plus size and I understand the challenge trying to find clothes that make her feel confident and stylish. My motivation lies in doing what I can to positively impact her experience. I want her to love each and every piece so she can keep it all or just the one item that works for her. When you feel good in your clothes you feel good about yourself. When you feel good about yourself your whole day is different. Shouldn’t that be everyone’s experience?! I’m a boxer! I like to spar. I love to make pottery on the wheel. It’s so soothing. I recently bought new tango shoes—I love Argentine tango. My favorite place I’ve traveled to is Istanbul. I’ve been there 4 times now! Just bought a house! I can’t wait to put in a fire pit and a grill in the back patio. I’ve lived in 10+ different states (so far). But my favorite so far has been Seattle. No matter where I went, it was beautiful and I loved the laidback culture. I didn’t start drinking coffee until I moved to Seattle. Yes, Starbucks was my first coffee spot but I am developing a more refined taste as I travel to places like France and Italy. Diehard fan (till the day I die) of the Green Bay Packers and the Wisconsin Badgers. GO PACK!